The reverse parking camera function does not find a place in the SUV, Mahindra Scorpio, as far as its built-in standard accessories are concerned. However, the same can be installed in the vehicle at an extra cost. The camera would come as a great help, especially at the time of parking in tight corners. For, it would relay live visuals of the area at the back of the car including places that are normally hidden from the view. This utility device would obviate the need for the driver to look back at the time of parking or be helped by someone. A reverse parking camera would empower a driver such that he/she can manage the onerous task of parking in our cramped urban spaces. Along with the reverse parking camera, Mahindra Scorpio also sport parking sensors in its high-end trims. These sensors – built into the rear bumper, send acoustic signals to the instrument panel when any obstacle is encountered within a certain distance. Also, the competitors of Mahindra Scorpio like Renault Duster, Nissan Terrano and Tata Saferi do not sport the reverse parking camera option. 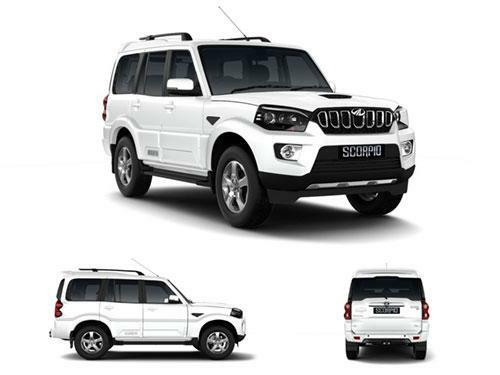 The variants of Mahindra Scorpio that offer parking camera as standard include 2WD Getaway, 4WD Getaway, S11 2WD, S11 4WD, S3 2WD, S5 2WD, S7 120 2WD, S7 140 2WD, S9 2WD.